As if you needed another example of the power of Creative Commons and Free Software. I introduce you to David Revoy and his creation, Pepper & Carrot, a much-loved comic strip about a witch and her cat. David is slowly building a following for his work, while releasing lovingly crafted comic strips into the world at a careful, measured pace. His work is free to see, and free to use. Others are encouraged to re-use Pepper & Carrot in whole or in part, and release their own derivatives, even charging for them if they want. The only requirement is that they acknowledge and attribute him when they do so. All this is possible because the entire comic strip is licensed under the Creative Commons Attribution License (CC-BY). 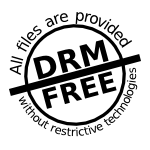 Other than CC0, this is the most permissive licensing option Creative Commons offers. Works under these terms can not only be copied, but also remixed and built upon, including for commercial uses. Re-users just have to attribute David Revoy as the author. There are problems of course. Cases of people who don’t attribute him properly when they use his work. Fortunately, those cases are more often the result of ignorance than they are of malice. A matter of not understanding their obligations, rather than one of deliberately trying to shirk them. Luckily it’s more the exception than the rule. Go read the article. Go to David’s website and check out his work. It’s a nice story. This entry was posted in Uncategorized and tagged creative commons, freedom, interesting websites. Bookmark the permalink.